When asked what it’s like to be the best player in women’s basketball, Breanna Stewart demurred for a brief moment. “I definitely don’t think of myself that way, but when you put it in that context, it’s really nice to hear,” she said from Russia, where she is playing for the currently undefeated Dynamo Kursk during her time off from the WNBA’s Seattle Storm. There’s not much Stewart, a 6-foot-4 forward originally from North Syracuse, New York, hasn’t done in her 24 years. 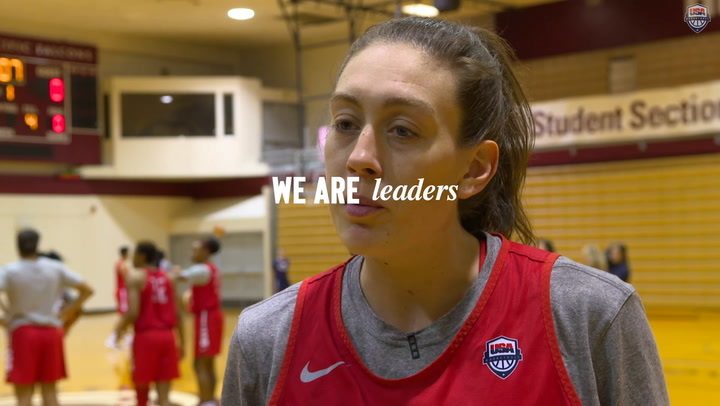 Almost immediately after leading the Storm to the 2018 WNBA Championship in a three-game sweep of the Washington Mystics, Stewart headed to work with the USA Basketball Women’s National Team as it prepared for the 2018 FIBA World Cup that began Sept. 22. Not only did Stewart help lead the USA to a FIBA World Cup gold, she earned MVP honors as well. That went along with her MVP honors for both the WNBA regular season and the Finals. She is just the sixth player in league history to win both league MVP and Finals MVP in the same year. It is no surprise Stewart earned the 2018 USA Basketball Female Athlete of the Year award for those achievements. She won it in 2011 and 2013, as well, and becomes just the third woman to win it three times since the award’s inception in 1980. Diana Taurasi won it four times, and Teresa Edwards won it three times. “It’s really an honor,” said Stewart, who previously won the award as a junior player in 2011 and 2013. “Each time that I’ve won has had its own special meaning, its own special place. “This one is special, because I was in a different position than I was with the other ones. It wasn’t a team that had a lot of time together, and we didn’t have a lot of time to work with coach (Dawn) Staley in putting the pieces together. Stewart said working with USA Women’s National Team head coach Dawn Staley (South Carolina) for the first time was a great experience. 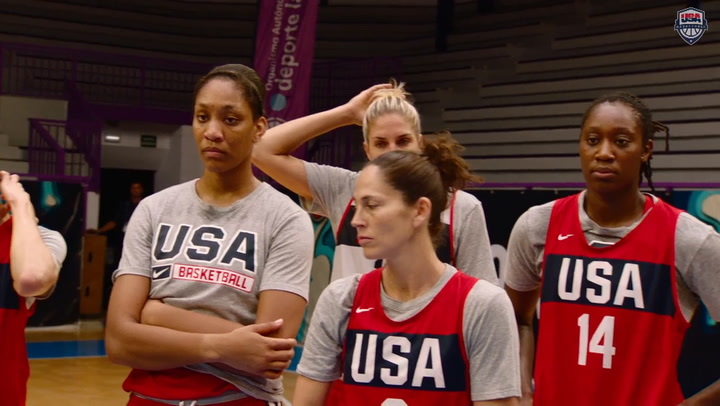 The two previously worked together when Staley was an assistant coach for the USA women at the 2016 Olympic Games, where the duo were a part of a gold medal. 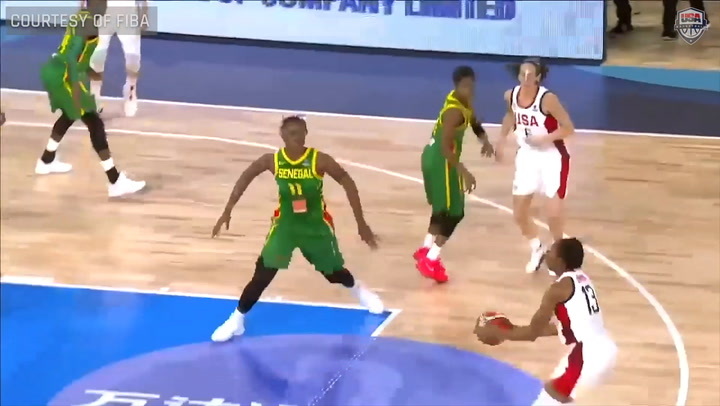 Stewart’s play in the 2018 FIBA World Cup was outstanding. She averaged 16.3 points per game on 58.0 percent shooting from the floor to lead all forwards. It earned her yet another international MVP award, having also earned MVP honors at the 2013 FIBA U19 World Cup and 2012 FIBA Americas U18 Championship. “Stewie played each and every game with all her heart,” Staley said. “She probably played more minutes than I should have given her, but she was that good. It was hard to keep her off the floor. Stewart fought throughout all of 2018. She’s not just willing to fight through adversity, she excels through it. She sprained her right knee while playing in the Chinese league in January, but came back two weeks later for the playoffs. WNBA camps opened in April. The league championships ended Sept. 12, and that led directly into preparations for the 2018 World Cup. And then, right into her European season in Russia. “To be able to continue to play for USA Basketball and represent my country, starting when I was 14 at the junior level, and now being part of a team winning an Olympic gold medal and two world championship gold medals, there is truly no better feeling than representing my country at the highest level possible in basketball,” she said. Stewart plans on competing at the 2020 Olympic Games in Tokyo. With just a few weeks until the holiday season, when the Euro League and Russian league take a break, she is looking to get back to New York for her first Christmas at home with her family in three years. Gary R. Blockus is a freelance writer contributor to USAB.com on behalf of Redline Editorial, Inc.